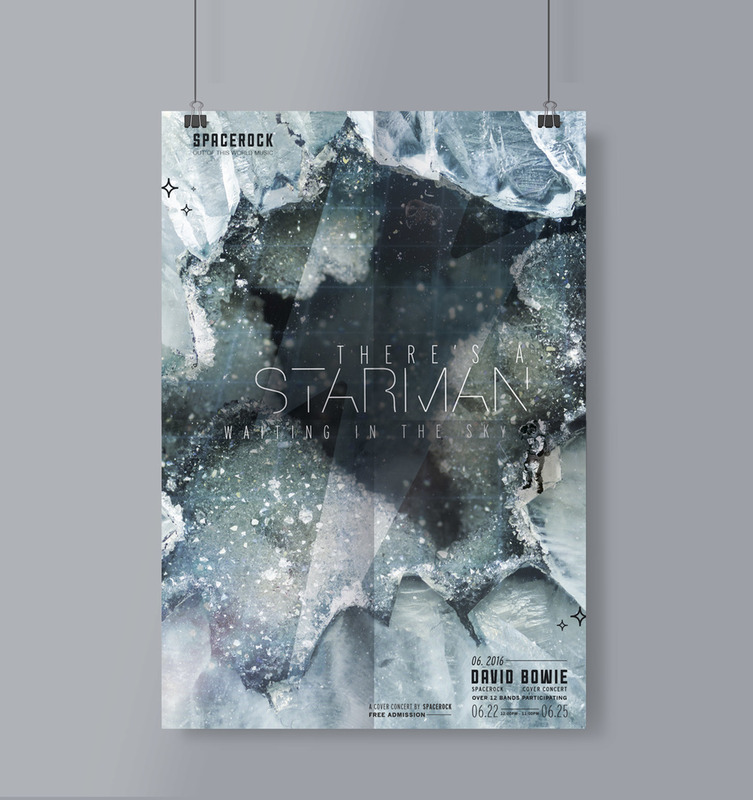 SpaceRock is a music label that hosts a variety of concerts and tours for different bands. In the special case of David Bowie, it brought together over 12 artists to celebrate and pay tribute to a great star in a special cover concert. 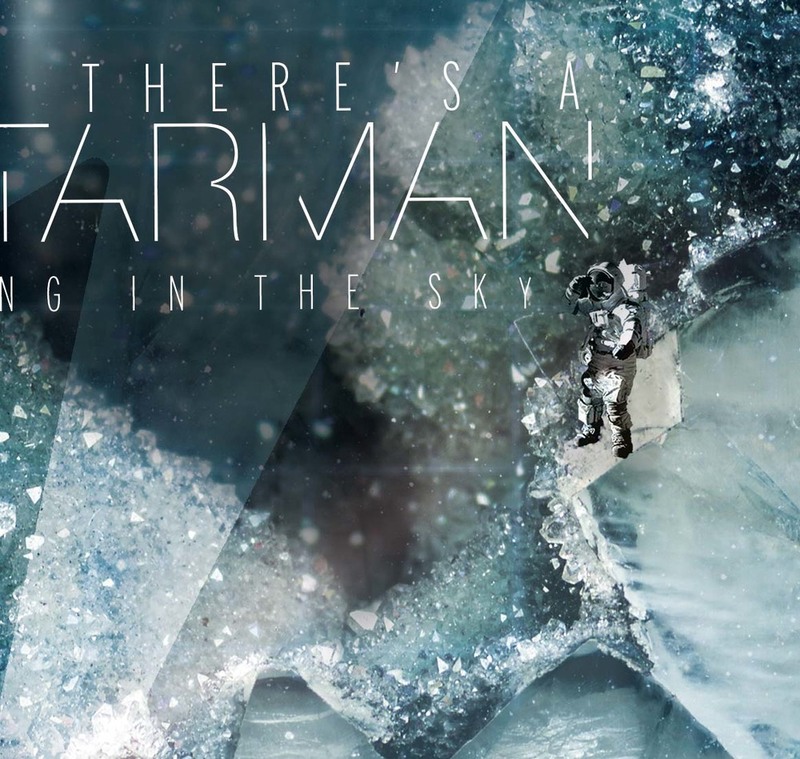 The event posters focus on the theme of space throughout of his music, and highlight different lyrics within them. 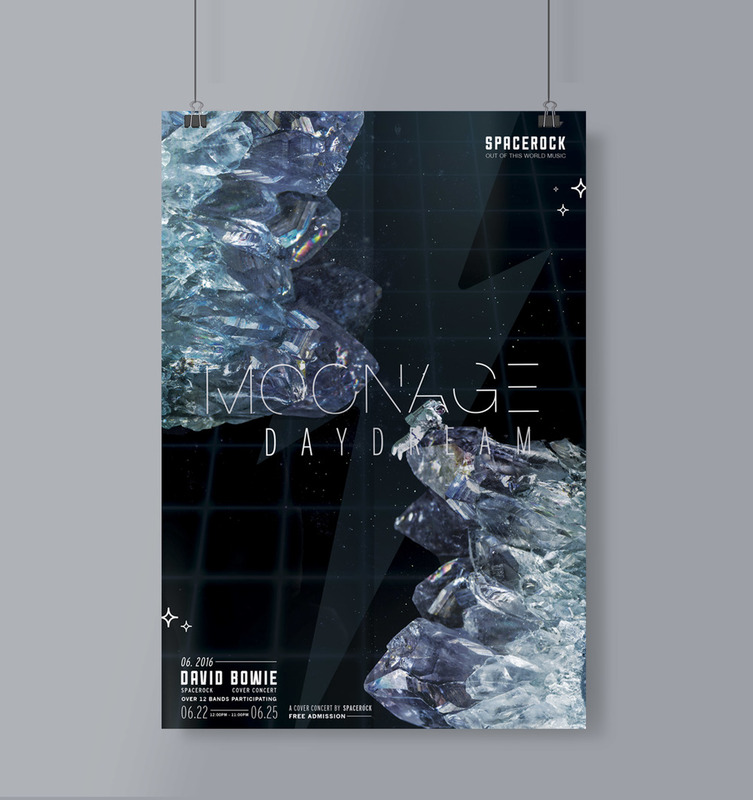 The posters also take his iconic lighting bolt symbol of Ziggy Stardust, and use it as another thematic device to take you through the variety of spacescapes created. The spacescapes are entirely generated from my own collection of crystals, which were positioned and scanned at high resolutions to create an other-worldly environment. The only extra element is that of the spaceman, which is courtesy of NASA's own photo collection.